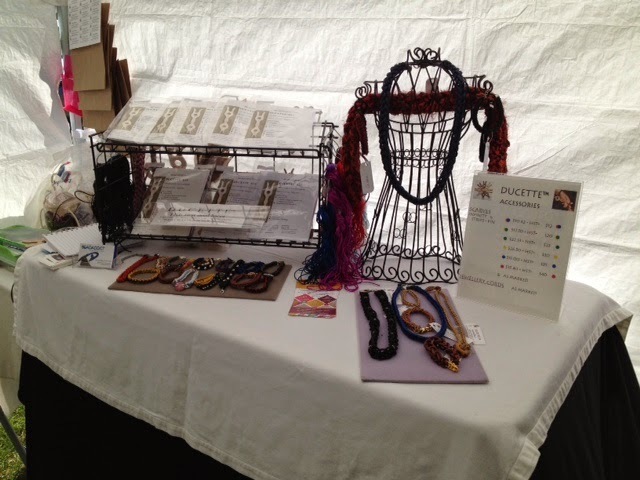 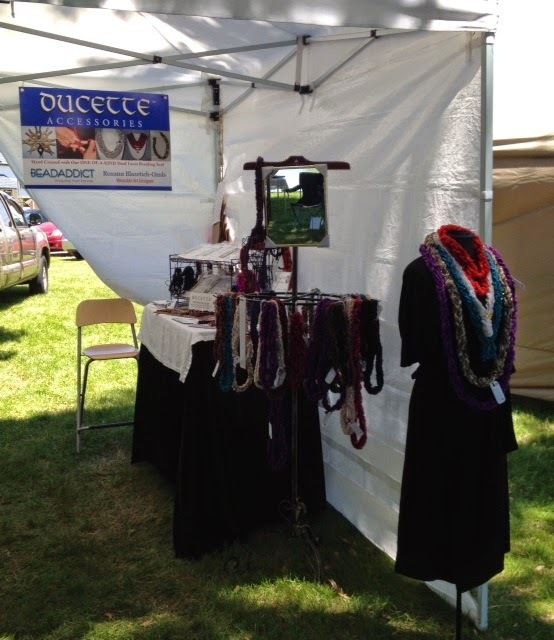 Here is a photo of the first exclusive DUCETTE show that included both the kits and finished products. 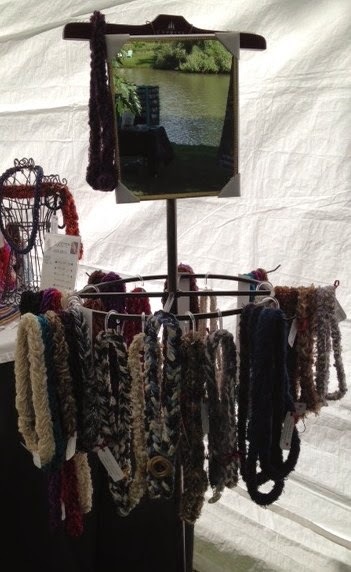 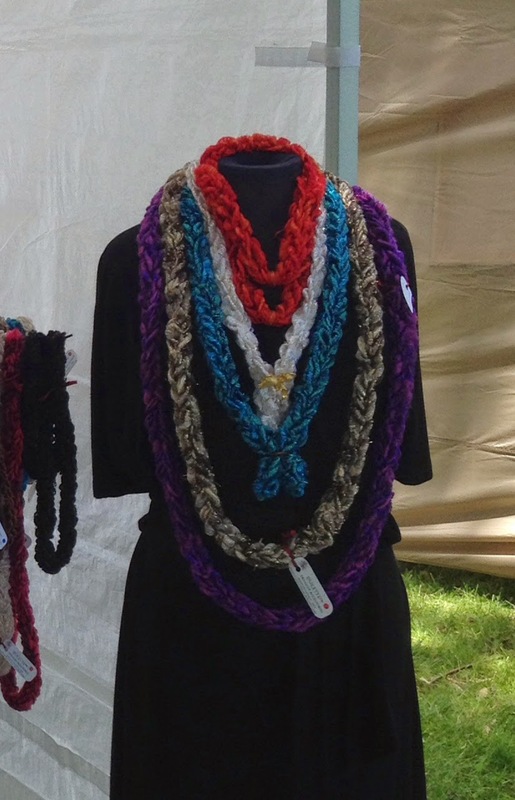 I am just putting the finishing touches on the sari silk yarn scarves and bracelets....pictures will be coming soon. 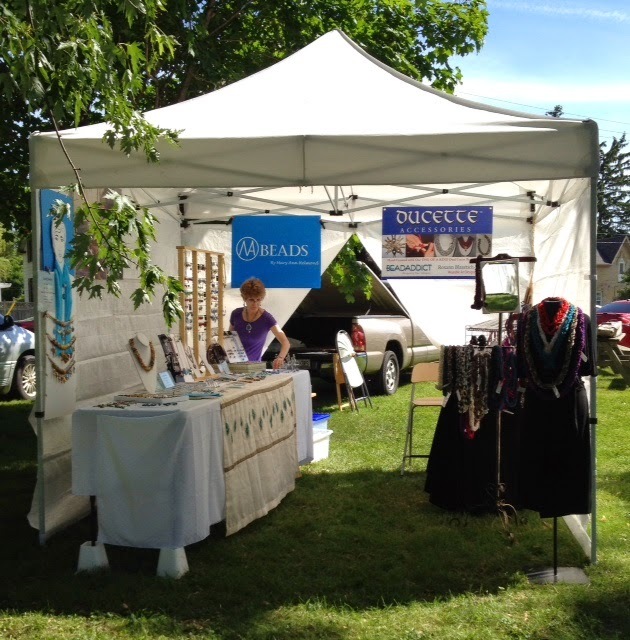 Next show will be Guelph's "Art in the Street" July 12!